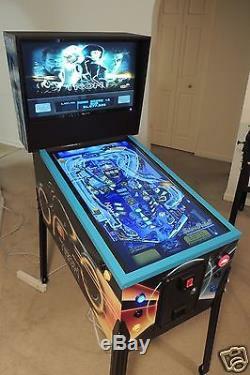 Virtual Pinball Machine Arcade Game Ultimate SuperPin Mid Size. IF YOU HAVE ANY INQUIRIES OUTSIDE OF WHAT IS STATED IN THE LISTING YOU CAN SEND ME A MESSAGE. NORMALLY ETA ON A FINISHED UNIT IS ABOUT 2-4 WEEKS --ONCE STARTED-- PENDING WORK LOAD --- AND IF THERE ARE BUILDS AHEAD OF YOURS. I HAVE NOT BEEN ABLE TO KEEP THEM IN STOCK.. SO IF YOU ARE INTERESTED PLEASE CONTACT ME ABOUT PRE-ORDERING A UNIT. 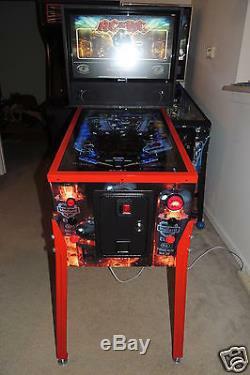 The Ultimate SuperPin Mid Size which features a 32" playfield and a 24" backglass. Lots of time has went into perfecting these, researching materials, dimensions, & specs for these beauties and here they are... The Ultimate Superpin Mid Size. 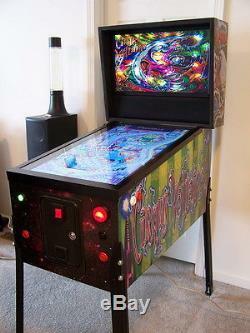 This is a Virtual pinball cabinet made for running programs like Visual Pinball, Future Pinball, Hyperpin (front end), Zen Pinball, and The Pinball Arcade. NOBODY ELSE MAKES A FREE STANDING UNIT OF THIS SIZE FOR NEAR THE PRICE. IF YOU FIND A 32 VIRTUAL PIN FOR CHEAPER LET ME KNOW WHERE!! IT JUST WON'T HAPPEN! 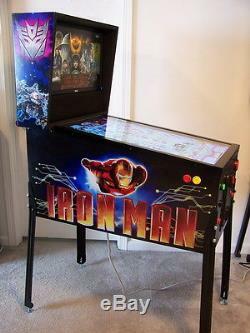 This machine is about 2/3 the size of a normal pinball machine cabinet. 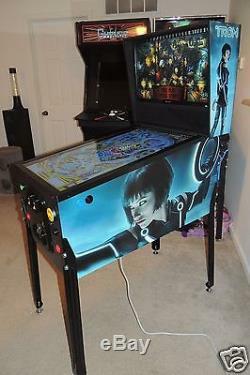 The legs are full height Williams pinball machine legs so you can play it standing as you normally would unlike some of the other vendors that sell units that are meant to sit on a tabletop. 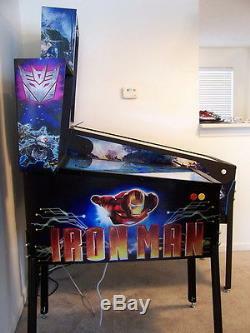 Take a look at the reference picture next to the full sized pinball and arcade cabinet. 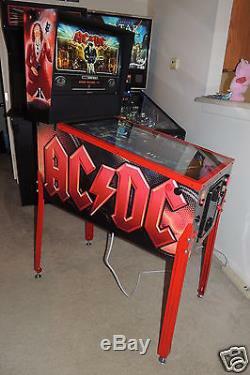 This machine has the same capability of any of the other virtual pinball tables you see on e-bay... 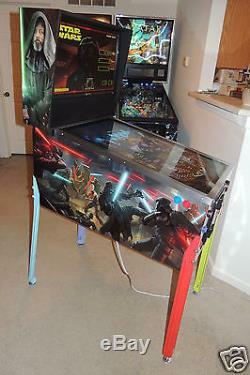 It is simply much smaller so folks that don't have the room for a FULL sized pinball table can enjoy the fun of having a virtual pinball table that has literally no limit to how many games you can load on it! Pinball cabinets are built new from scratch in Columbus, OH in the good old USA! The listing price INCLUDES a vinyl art wrap. I have AC/DC, Monster Bash, TRON, Star Wars, Multi Graphic wrap which is shown in some of the photos as well as about 50 other potential options. Custom leg and rail painting is a possible option. Standard is either black or silver. LED UNDER CABINET LIGHTS NOT INCLUDED WITH A STANDARD BUILD, but can be ordered and added upon request. 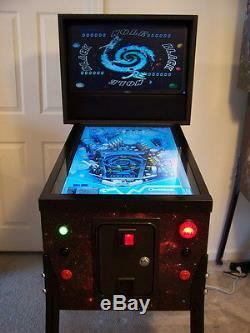 There are NO pinball table files on this unit when it ships however you will get some general installation instructions and information on how to download the files necessary to play. 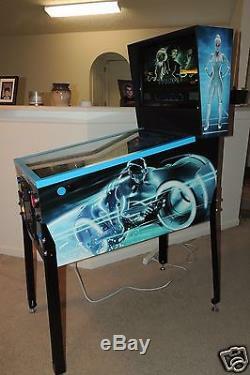 Have no fear that within MINUTES of un-packing the unit you will be having tons of fun playing your new virtual pinball! We do not provide tech support for loading tables and rom files however as mentioned above we can point you in the right direction and give you the proper links to the wonderful community of people that are in the virtual pinball world. 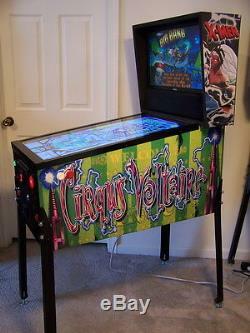 The item "Virtual Pinball Machine Arcade Game VP Virtual Pin Mid-Size Hyperpin ready to go" is in sale since Friday, September 29, 2017. 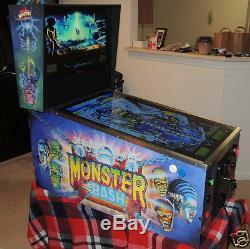 This item is in the category "Collectibles\Arcade, Jukeboxes & Pinball\Pinball\Machines". The seller is "bub2010" and is located in Columbus, Ohio. This item can be shipped to United States.